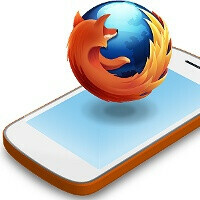 Mozilla has just announced that it got four phone makers on board its brand new HTML5-based Firefox OS. LG, Huawei, ZTE and Alcatel are the ones to first release devices running on Firefox OS and the platform has also been confirmed to feature apps like Facebook, Twitter and Cut The Rope. Those devices will likely all be entry-level, designed to bridge the gap between a traditional smartphone with native apps and feature phones. Good news is 18 carriers across the globe have confirmed that they will offer the phones. The biggest promise about Firefox OS though is that there is no plaftorm - the whole web becomes your ecosystem. The Firefox Marketplace will feature some neat titles from the get-go: Cut the Rope, Disney’s Mobile Games and even EA games will be on it. The usual suspects Facebook and Twitter will launch apps, as well as Nokia with HERE maps, and SoundCloud. It will definitely be an uphill battle against Android and iOS, though, and we’re certain Mozilla knows about that. It has decided to still challenge the existing order of things. Do you think it has any chances to succeed? Hopefully this succeeds. Android must not become too powerful. Apple tactics all over again. To be honest i ahve seen the hands on test of firefox OS and it looks plain boring. Good luck to it but i also have a question. If it is based solely on the web then what happens to an area where you cant get signal?? I've seen the demo video of the OS... it's painfully slow. It couldn't be the low specs of the demo phones because WP runs smoothly on the same low specs. I pity the people in emerging markets who would unknowingly buy one of these phones.